On May 7, after worship we will share a potluck lunch (cold, finger food only!) and spend time learning about and voting on four remits. Remits are important part of improving how we do God’s work. It is important we add our voice and vote on these important questions. Read the summary of the Remits 1,2,3,& 4 below. This is information that was published in the bulletin. Go to The United Church of Canada Remit Page. Remit Page You will find Study Guides, Webinars and Videos, and Questions & Responses. If you are on Facebook, check it for videos and links to issues regarding Remits in the week before the meeting. We will not be showing the videos at the meeting. A remit is a vote that gives permission to change the Basis of Union. When the United Church of Canada wants to make a change to the Basis of Union (the church constitution) they must consult the wider church. The first one is asking all Pastoral Charges and Presbyteries throughout Canada and Bermuda, to consider the implementation of a three council model for the United Church of Canada, replacing the four levels we now have. A “pastoral charge” would be called ‘a Community of Faith.” We’d still be Trinity United Church. Congregations as we know them now are included in a new “Community of Faith”, however, it may also include outreach ministries, house churches, (for those who longer can maintain a former church building, but might meet in a member’s home; on-line ministries and such. Everyone would still be subject and accountable to the next governing body. They would also receive support from the other councils. Presbytery and Conference would join to be a “Regional Council.” This membership would be made up of both lay and ministry personnel. Their roles will be a combination of the original two. (a) provide advice, support and services to the community of faith. (b) prepare, train church leadership and provide support to relationships between communities of faith and ministry personnel. (c) ensure communities of faith are living up to the church standards, try to resolve disputes, and possibly need to step in if a community of faith fails to meet its responsibilities. (d) Regional Councils will meet at least annually, just as Conferences do now. The “Denominational Council” consists of those elected by the regional councils, and other officials,. and will replace the General Council, but continue the primary role of the current General Council – to provide a denominational, national, global voice and identity, setting policies and directions, and electing a Moderator. It will make decisions on denomination-shaping issues, such as public witness, theology, and governance structure. It will have a much smaller executive than the current one, facilitating more timely decision-making. The number of staff for the denominational council office will be determined by financial resources available. Although the processes for Transfer and Settlement remain in effect, fewer and fewer candidates or congregations chose transfer and settlement. This remit asks that the processes of transfer and settlement for members of the order of ministry within the Church be eliminated, including the elimination of the General Council Transfer Committee. A community of faith seeking a minister conducts a needs assessment and a search process. The vacancy is posted and made known. Candidates and members of the order of ministry may register their names on the church’s list of those available for a call. The ministry receives applications for the vacancy and in cooperation with the Conference/region, interviews applicants and makes a decision to offer the call. Currently the Pastoral Charge, Presbytery, Conference and General Council elect people who are involved with the education of students, pastoral relations and oversight, and discipline. This remit would create a new permanent Office of Vocation as part of the General Council structure. The Board of Vocation will consist of 12-16 ministers and lay people from across the church with a variety of skills, and paid staff. The Board of Vocation deals with:1. Candidates for ministry, 2. Support and oversight of candidates and ministry personnel, and 3. The discipline of ministry personnel. The Office of Vocation sets standards for education, training, admissions and accreditation. The Office of Vocation will maintain a registry of accredited ministry personnel. The Board of Vocation can order reviews on the conduct of ministry personnel, and initiate investigations when there are concerns or complaints. See the Study Guide for a table that shows the current and proposed processes. 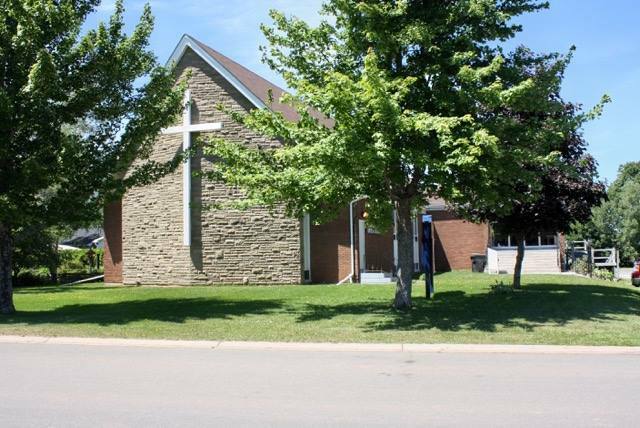 The United Church of Canada, both nationally and locally, are in need of an improved method to achieve operating funds to keep our church as we wish to continue knowing it. Thus, a new assessment formula is being proposed. It is deemed to be a somewhat fairer model for the pastoral charges who are struggling financially. If accepted, a “phase-in” approach is recommended. Does the presbytery/pastoral charge agree to a new funding model for the United Church with the budgeting process guided by the following principles? (5) Encourage sharing of all resources across the church.